Since the mid-seventies -and especially in the US- the female voice entered the cantoriate as well. The 78 rpm era had such oddities as Sophie Kurtzer or Shayndele but they recorded only and never officiated in the synagogue as it was and still is unacceptable to orthodox Jewry. The new gender found its way to the liberal and conservative synagogues only. Several of them even recorded with varying results and they are often singers who couldn’t make it into the world of opera or the concert stage. There have been several cantors who started out as successful opera and concert singers or vice versa. Joseph Schmidt, Richard Tucker and Jan Peerce are probably the most well-known. But there were others. After ending his operatic career Hermann Jadlowker became an Oberkantor in his hometown of Riga. 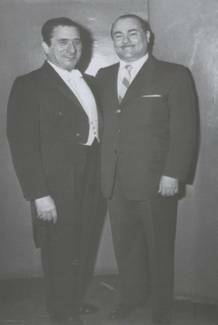 As a youngster he had been trained (together with baritone Joseph Schwarz) in Riga by Boruch Leib Rosowsky. Famous Italian tenor Vasco Campagnano of Cetra fame even made a cantorial record (one of those great rarities) in Milan under the guidance of the legendary La Scala chorus director Vittorio Veneziani, both by the way survivors. Claudio di Segni an Italian tenor of immense talent who never really made it big often sang at the Rome synagogue. Herman Malamood of New York City opera fame also served as a cantor and so did baritone Andrew Foldi. 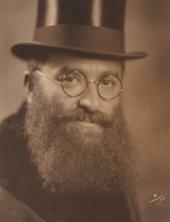 Moshe Rudinow after having sung at the Palestine opera became appointed as a cantor in the States. Robert Paul Abelson another New York City stalwart still serves as a cantor in New York and present day French bass-baritone Laurent Naouri occasionally sings in a smaller Parisian shul. Tenor David Garen a survivor of Theresienstadt became a cantor too and Paolo Gorin –long time baritone of the Israeli opera - served for many years at the Amsterdam liberal synagogue. Seymour Schwartzman and Norman Atkins also come to mind and every lover of Yiddish song is familiar with the great talents of Mischa Alexandrovich, Sidor Belarsky and Louis Danto. Rumanian tenor Nico Feldman ended up as a cantor in the USA as well and so did Roman Cycowski of ‘Comedian Harmonists’ fame. 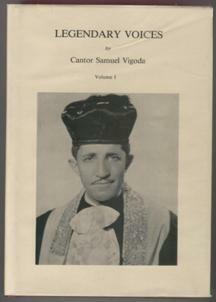 Vittorio Weinberg a baritone of the 78rpm era served in cantorial posts in the States and Israel and South African baritone Louis Berkman became a cantor in London. 1. 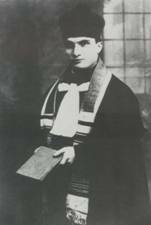 GERSHON SIROTA (1874-1943) : he was one of the most accomplished cantors of all times . Sirota had a gorgeous dramatic tenor voice and “his octave leaps, perfect three-note runs up the scale, fabulous trills, facile coloratura are unrivalled by any other recording cantor” (Arthur E. Knight) . Sirota must have made more records than any other cantor . He made his first records in the same year as did Caruso and he was one of the first cantors ever to make recordings. Sirota and his family perished in the Warsaw ghetto in 1943. A memorial monument was erected to Sirota in the Gensher cemetery of Warsaw in 1961. 2. SELMAR CERINI (1861-1923): Cantor Steifman aka Selmar Cerini was a dramatic tenor who left a successful operatic career in Breslau (singing roles such as Raoul, Eléazar, Manrico…) for the synagogue and became Oberkantor in the same city. Cerini recorded more than 70 recordings for several record companies mainly cantorial but also some operatic arias and songs. 3. MOISHE OYSHER (1907-1958) appeared in several Yiddish films and made numerous recordings. I’d call him a cantor-robusto. Possessor of a baritonal medium with trumpet like and vibrant top notes. His is a flexible voice scarce in the use of head voice but one gets lots of schwung instead. Get the earlier recordings though. Oysher also featured in several films, some of them available on the DVD medium. His sister Fraydele and her daughter Marilyn were also singers. 4. 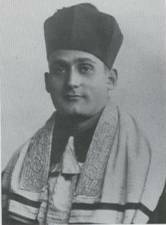 JOSEF ROSENBLATT (1882-1933) The Caruso of the pulprit and without doubt one of the most dominating figures in matters cantorial doesn’t need any introduction. Rosenblatt was a well-schooled musician , possessor of a perfect trill and a divine falsetto. The voice was a phenomenal instrument with a tremendous range yet it also had its limits and was not on the same par of a few of his contemporaries or successors. His impact though will be forever enshrined in Jewish musical history. Rosenblatt often met with the greatest opera stars of his time: Enrico Caruso, Rosa Raisa, Titta Ruffo, Tetrazzini, Melba and Schipa to name but a few. His son Henry was a cantor too and recorded an LP with music of his legendary father. 5. Moshe KOUSSEVITSKY (1899-1966) : arguably the most distinguished cantor and concert singer of his generation. He possessed a beautiful lyric tenor voice, brilliant in tone and of an unusal quality, flexible in emotional wamth yet tempered by the dignity and simplicity required by his religious music. His three brothers Jacob, Simcha and David were all talented chazzanim as well and they all made recordings. The Symposium label (UK) issued a wonderful CD selection of the four brothers. A bel canto master with highly developed coloratura, beautiful fil di voce and improvisational gifts. It was said he was able to sing the liturgy with the clarity of a spoken sentence. 7. BERELE CHAGY (1892-1954) very sweet and pleasant lyrical tenor voice capable of impressive coloratura. He was born in Latvia and emigrated to the States in 1921 where he died of a heart attack in 1954. 8. 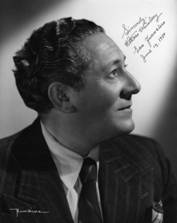 MORDECHAI HERSCHMAN (1888-1940) : possessor of a beautiful, sweet tenor voice of great warmth but also some Martinelli-like fire when required. 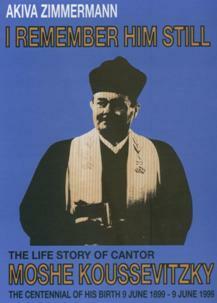 Not only was he a master-cantor he was also famous for his great talent to sing Jewish folk music. 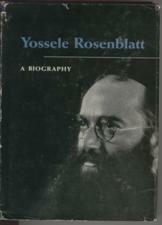 (see concert bill in the gallery) Hershman was among those who chanted prayers at Rosenblatt’s funeral. 9. SHLOMO HARTENBERG : A mystery cantor if there ever was one and who recorded some 78 rpm’s in pre-war Germany. Biographical data are impossible to come by. A pity as the man was the possessor of a simply unique voice. Similar to Schmidt’s in timbre but more robust. If you want to be surprised go to the soundbites section and enjoy a probably fascinating discovery. 10. PIERRE PINCHIK (Pinchas Segal) (1900-1971) : He was born in the Ukraine and died in New York. Pinchik is another sweet lyrical tenor as can be judged from the soundbites section. Of course there were many others, all of them magical singers. Recordings with these great voices will always give a permanent pleasure : Hungarian Joshua WEIDER, Jerusalem born Zvi HALPERN, Ben Zion MILLER’s earliest recordings show a most gifted tenor voice in the great tradition, Antwerp-cantor Benjamin MULLER has the greatest cantor voice I’ve ever heard live. Leib GLANTZ born in Kiev belongs to the great tradition of pre-war cantors and so are Moses MIRSKY and Ben-Zion KAPOV-KAGAN. 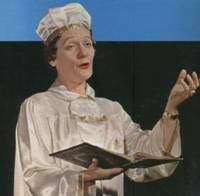 Evelyn Lear’s grandfather Zevulin KWARTIN is another monument in cantorial singing. Salomo PINKASOVITCH who graduated from the Odessa conservatory even recorded ‘Vesti la Giubba’ but the operatic world was deprived from his vocal talent, a solo CD was issued by Pearl and would make a nice addition to your record library. Rumanian born (are we surprised?) Shalom KATZ was a strong contender for the top ten if only for his recording of ‘El moleh Rachamim” one of the greatest cantorial recordings of all times. The recording was used to great effect in De Sica’s magnum opus ‘The Garden of the Finzi-Contini’s”. Joseph SHLISKY was another one of those talented tenor-cantors torn between an operatic and a cantorial career, no wonder if you listen to his rendition of Eléazar’s lament in the soundbites section. The best way to get acquainted with these golden vocal cords is to buy one of the many cantor compilations. Are an interesting way to get acquainted with some of these legendary voices. A warning though as not all compilations are of the highest quality. Several duplicates abound. The Pearl and the Symposium labels are quite reliable in quality and offer a good overall selection of the greatest recordings in the cantorial field. Often their booklets written by some real experts as Elie Delieb are great assets too. 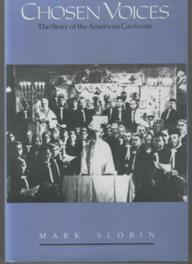 But there are other interesting releases by other firms as well such as the releases by the Beth Hatefutsoth museum in Tel Aviv (they’re on-line) one of them ‘The musical tradition of the Jewish reform congregation in Berlin’ features rare recordings of Joseph Schmidt, Hermann Schey, Paula Lindberg and Frederic Lechner amongst others. loads of rare and interesting photographs. 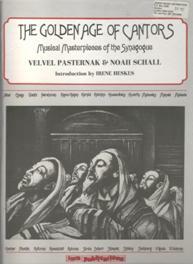 Books with cantorial music and transcriptions from the great masters were/are available either from regular bookshops, second-hand bookshops or ebay. Mark Slobin a professor of music wrote an interesting book on the story of the American cantorate. (Illinois 1989). 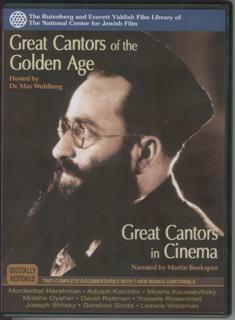 At long last the most famous cantors of the Golden Age can now also be seen on DVD. This collection, comprised of the video documentaries GREAT CANTORS OF THE GOLDEN AGE and GREAT CANTORS IN FILM along with 7 newly digitally restored cantorials, includes some of the only known visual and sound recordings of the most famous cantors from the 1930s to the 1950s. It is produced by cantor Murray Simon and these releases stand as a tribute to those cantors’ legendary artistry and all who cherish liturgical music. 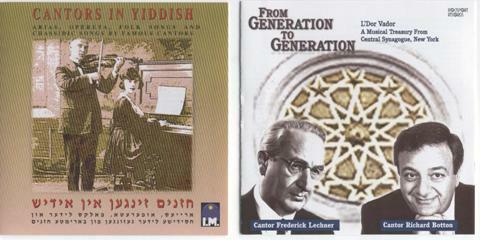 The DVD’s are released by the National center for Jewish film. 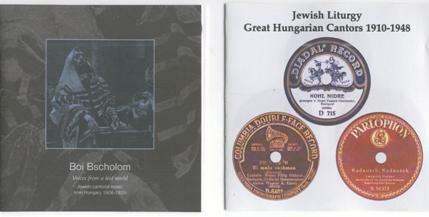 Please go to www.jewishfilm.org for more details and info.